A couple of months ago, I overhead my son, Daniel, and his friend, Bjorn, talk about a little boy from our church. The boy, who is almost 3, is full of energy and wants to imitate everything the older kids do. Just like them, he gets rough. The only difference is that he still doesn’t have impulse control, so he’ll bite and throw things at you. Daniel enjoys playing with him, but does complain about him being “annoying” sometimes. “If he were like Caleb, he would be perfect, right?” Bjorn said. Daniel agreed, of course. I couldn’t help but smile. It was not the first time I had heard Caleb being described as “perfect.” Caleb is my child with a severe disability called Trisomy 13. “Mami, why are Caleb’s muscles weak?” Daniel asked. “Because his body did not form properly,” I explained. Caleb has been described in many ways. Some ways seem cold and impersonal. Words like “syndromic,” “dysplastic,” “dysmorphic,” and “outlier” are difficult to beautify no matter what. Yet, I don’t mind medical terms that much. They are needed. They tell you facts. They describe the surface. However, I prefer words spoken from the heart by Daniel and many others to describe my second son. Their point of view is different. It’s from the inside out. Perfect, funny, cute, happy, loved, blessed, brother, son — all these words also speak of what is real in Caleb’s life. It’s been more than five years since we started this journey, and much has changed. Words that used to describe us have been erased, or at least muffled by others. “Shock” and “shame” have been replaced by “acceptance” and “pride.” I am Caleb’s mom. Sorrow has been eased by joy. Just a couple of weeks before Daniel’s conversation with his friend, I reminded my husband, Paul, of the time I found him weeping. “You were sitting on the couch by the stairs, and in the background I could see Caleb’s scrawny body moving in an awkward, almost robotic way on the carpeted floor of our living room,” I said. “Yeah, I remember thinking, ‘I did not sign up for this,’” he replied. We both looked at Caleb now happily cooing and balancing on his tummy on the same spot of our living room five years later. Delight had taken over and made that memory truly a thing of the past. Caleb turned 5 recently, and, according to the medical world, this is a big deal. A huge deal, in fact. 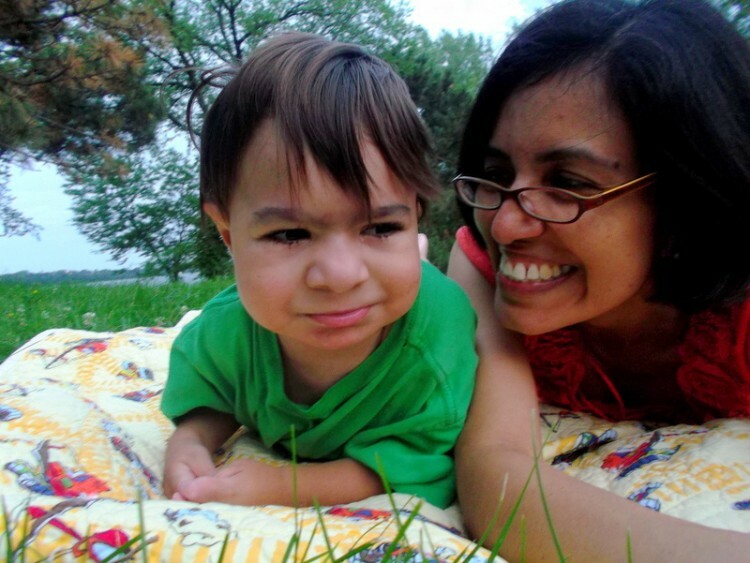 According to statistics, the majority of kids with Trisomy 13 die before their first birthday. He is an “outlier” indeed. But more than anything, he is a beloved child and part of a family who feels extremely blessed to call him brother and son. The Mighty wants to hear more about relationships and special needs parenting. Can you share a moment on your special needs journey that strengthened your relationship? If you’d like to participate, please send a blog post to [email protected] Please include a photo for the piece, a photo of yourself and 1-2 sentence bio. Perla Morley is the mother of two special sons: Daniel, who is healthy, and Caleb, who has Trisomy 13 (also called Patau syndrome). She is married to Paul, a school teacher, and works as a Spanish medical interpreter at a children’s hospital. Perla loves to write about her journey as the mother of a special needs child and the discoveries made along the way.